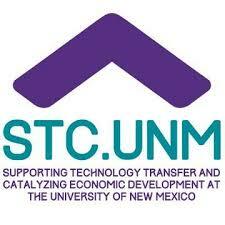 The New Mexico Biotechnology and Biomedical Association (NMBio), in conjunction with the Arrowhead Center in Las Cruces, will co-host the first meeting of its southern division at New Mexico State University’s Fulton Center on November 16. The theme for the event is collaborative research opportunities between New Mexico health focused institutions. Presentations will be made Dr. Joseph Benoit, Director of Research, Burrell College of Osteopathic Medicine; Dr. Steve Young, Director of Research and Clinical Trials at TriCore Reference Laboratories; and Rick Van Ness, a Director within TriCore’s Product Development team. In addition, Estela Hernandez, an Enterprise Advisor at the Arrowhead Center and Fund Manager of the Arrowhead Innovation Fund will provide a brief overview of the fund as a potential source of early stage seed/gap funding for commercializing new technologies. Greg Byrnes, executive director of NMBio, will provide an overview of the association’s plans for 2017 as well as provide details on the association’s cost savings programs with FedEx, VWR, Office Depot, Nikon Instruments and many others. Networking and a cocktail reception will immediately follow the presentations.